Foundation Certificate in English Literature: a guide to online resources: Welcome! We're looking forward to meeting you in person at some stage during your studies. Until then, we hope that this guide will give you an idea of the range of library resources available to you, and how to make the best use of them. If you have any questions about using any of these resources whilst studying for the Foundation Certificate in English Literature, please do get in touch. 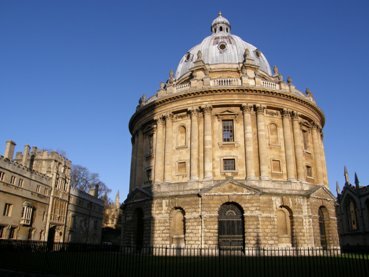 The Bodleian Library’s central site is on Broad Street, and it comprises the Old Bodleian and the Radcliffe Camera. The New Bodleian Library is currently undergoing refurbishment, and is due to reopen in 2015. 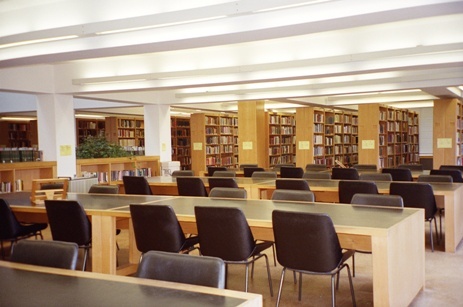 There are various reading rooms within the central site and, although you are not restricted to using a particular one, the main reading room for undergraduates studying English is the Upper Camera. The Camera's open shelf collections will be useful for your course, and the Camera's library staff know the collections well and will be able to help you with any queries you might have. From here you will also be able to access the 240,000 items available on the open shelves in the Gladstone Link - this has been created to enable you to access even more titles, without having to call them up from our closed access bookstacks. The English Faculty Library was established in 1914 to serve all those reading and teaching English at Oxford. It became part of Oxford University Library Services (OULS) at its formation in 2000 and in March 2010 the EFL became one of the Bodleian Libraries of the University of Oxford. The Library’s collections are available to all those requiring access for academic purposes. All registering borrowers must have a valid University card. For more information on the Literature collections at the Rewley House Library please see the Rewley House resources for Literature page in this guide.